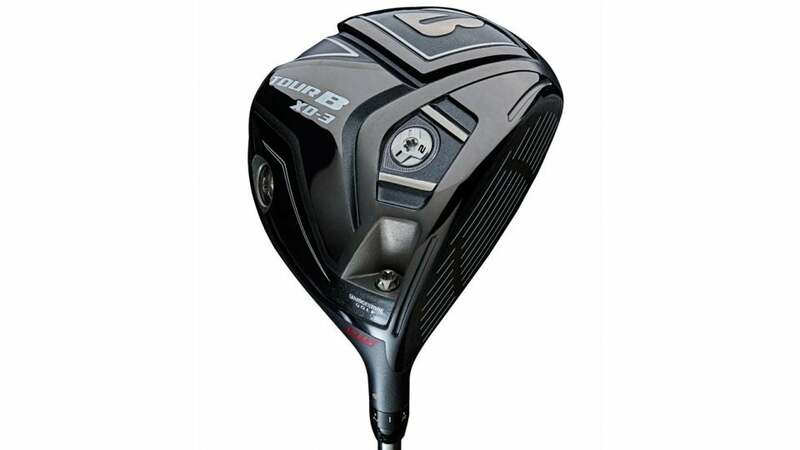 The Bridgestone TourB XD-3 driver. SPECS: 9.5°, 10.5°, with more than 70 no-upcharge graphite shaft options. RECOMMENDATION: Targets low- to mid-handicaps who are a bit more interested in shot-shaping than in pure distance or maximum forgiveness. KEY TECHNOLOGIES: F.A.S.T. Crown allows for more spring at impact across the entire face; internal stabilization steadies the sole for more ball speed and a dampened feel; a pattern machined into the face keeps the ball from slipping at impact; 2-, 4-, 6-, 8-, 10-, and 12-gram interchangeable screws dial in trajectory and shot shape. A $700 driver had better come with every bell and whistle possible, and Bridgestone's new premium lineup doesn't disappoint. The middle child, the XD-3, features a rounded, 455cc head with a deep face that fosters a neutral shot shape and a mid-trajectory. Packing six movable weights, an eight-way adjustable hosel, and a quiver of high-end shafts, there's a lot to play with here. Take Bridgestone's advice and let a fitter sort out what works best for your swing. "Offers more workability than typical game-improvement models, with plenty of distance and more forgiveness than you might expect. "